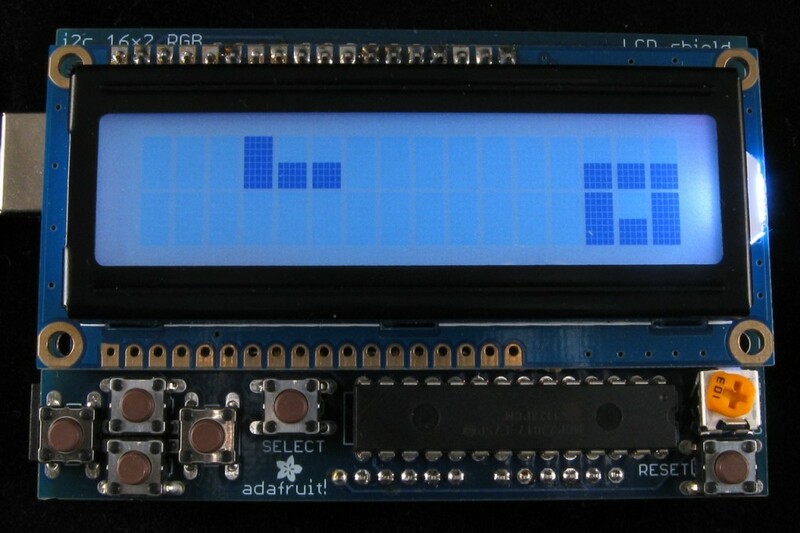 Porting Tetris to the RGB LCD Shield « Adafruit Industries – Makers, hackers, artists, designers and engineers! When Phillip sent me a link to dzimboum’s amazing Tetris on Arduino project, I was immediately hooked. Not only does this project let you play Tetris, it even tracks your top five scores in EEPROM! A few code changes later and I had Tetris up and running on my RGB LCD Shield. The full source for the ported Tetris sketch and required high score library are available on github so you can enjoy stacking tetrominoes on your Arduino!